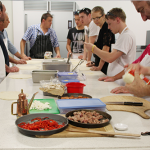 Team Building, Staff Training or Just a treat for any small group. 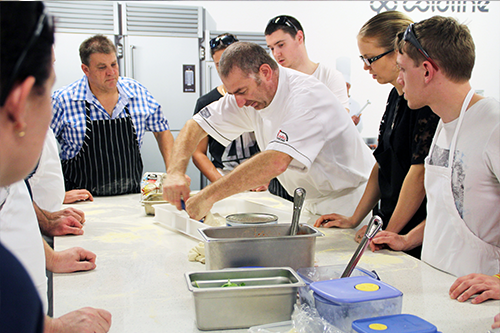 Are you looking for a team building activity for your staff in the Sydney area? 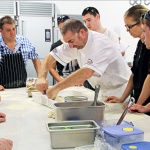 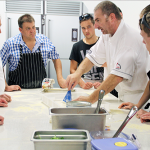 Or do you want to increase the knowledge of your kitchen staff through some dedicated training? 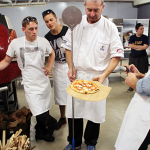 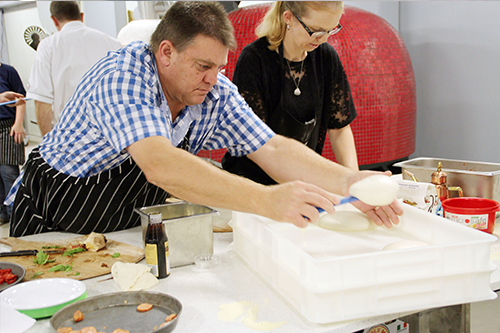 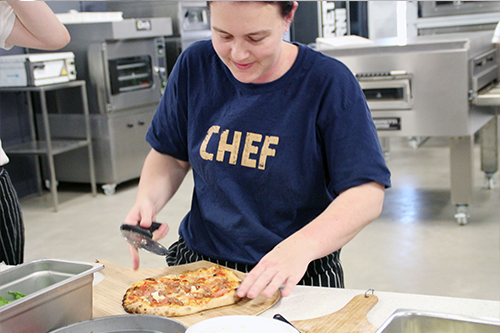 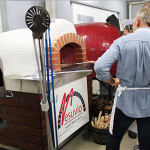 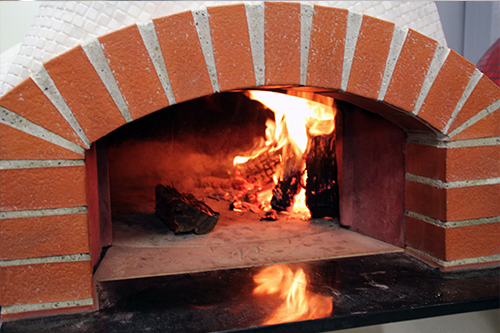 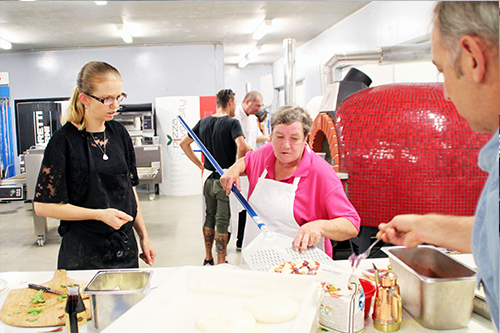 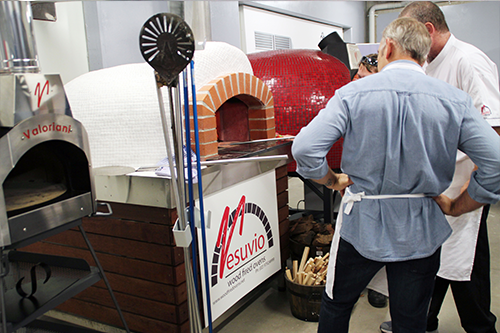 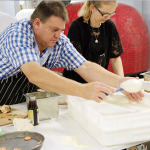 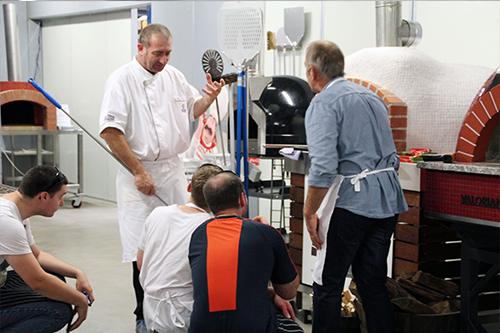 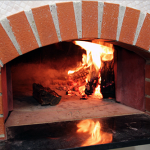 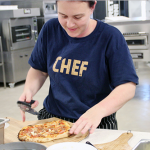 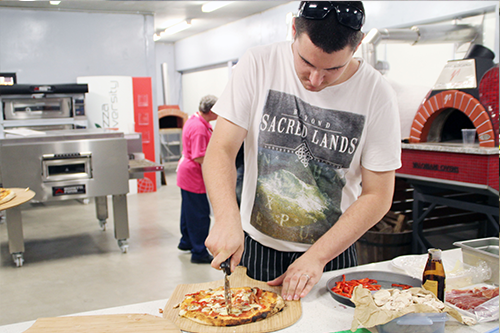 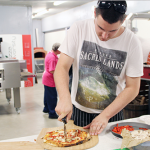 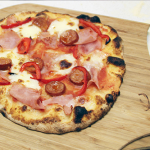 Held in the Vesuvio Kitchen in Padstow NSW, these interactive cooking classes for groups or teams of up to 10 people are a great way to get your staff talking, laughing, sharing and working together whilst learning the tips and tricks of perfect wood fired cooking. 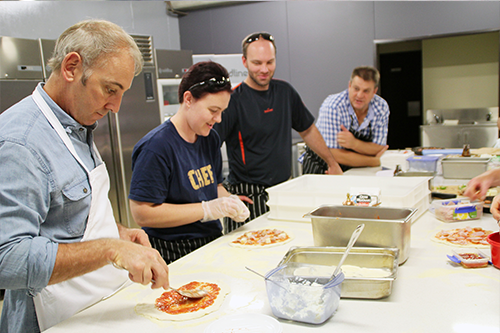 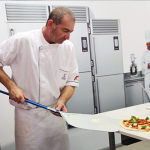 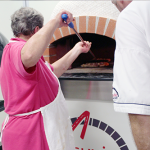 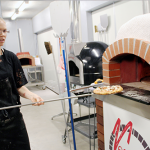 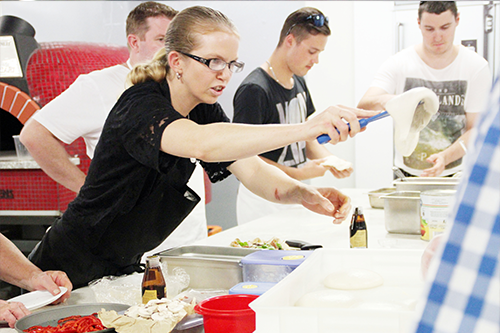 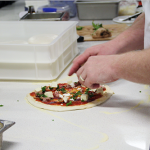 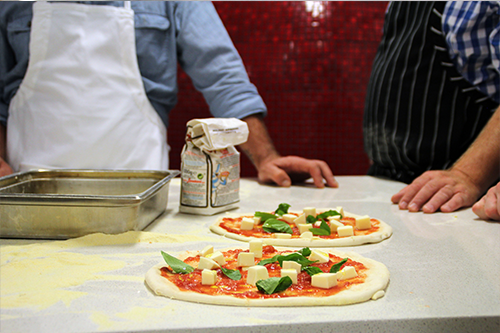 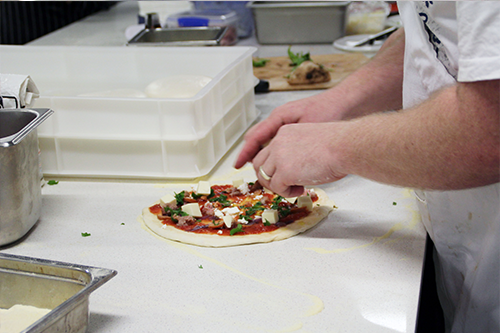 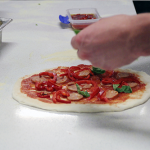 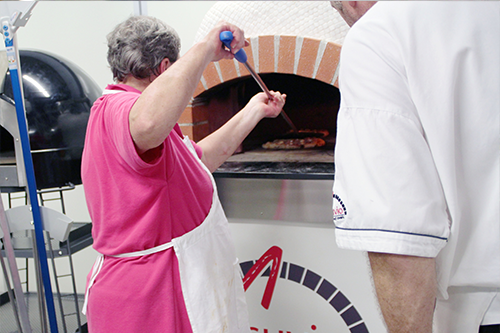 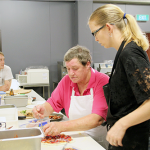 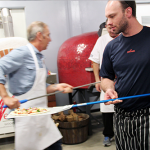 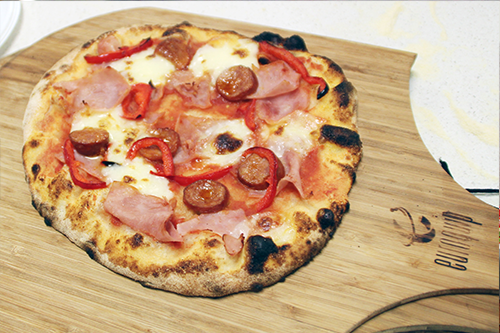 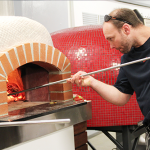 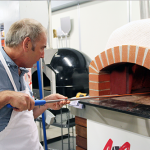 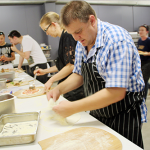 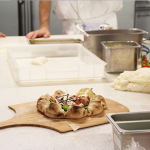 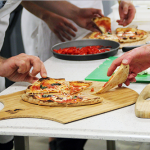 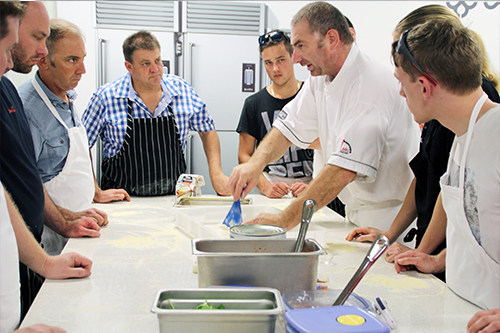 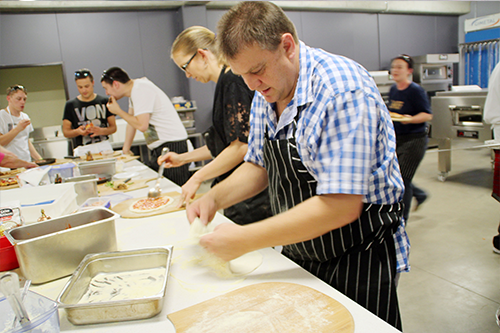 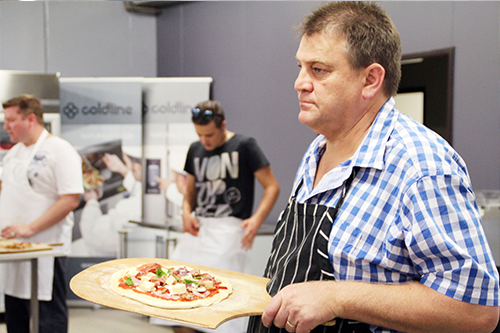 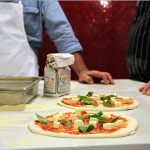 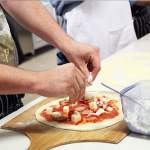 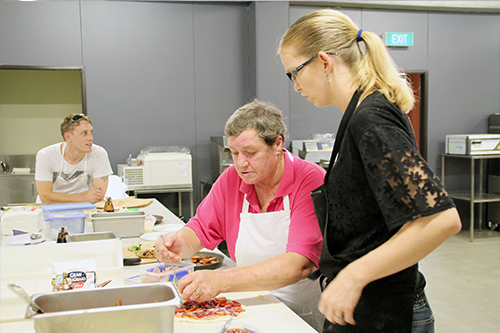 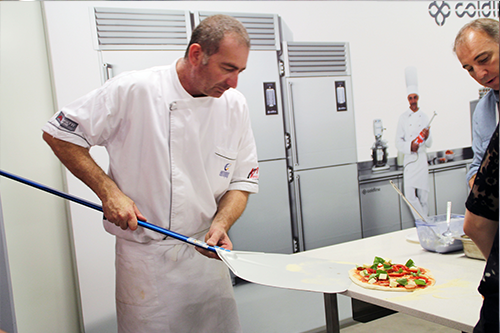 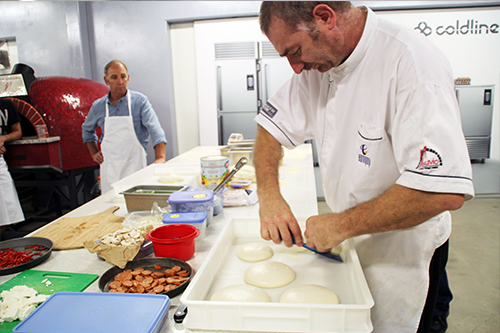 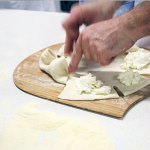 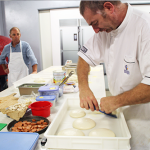 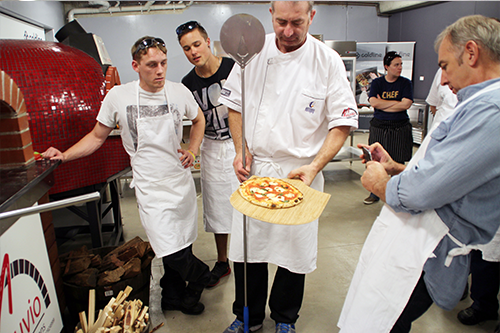 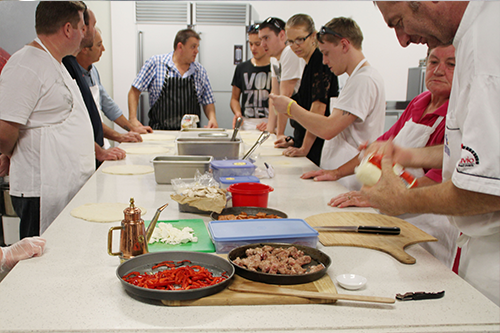 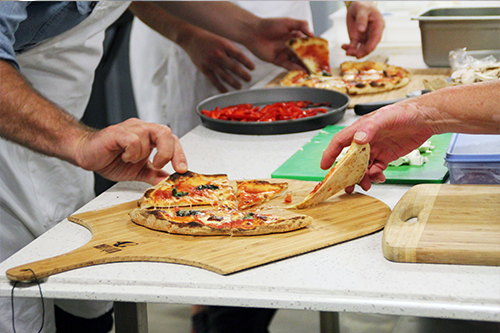 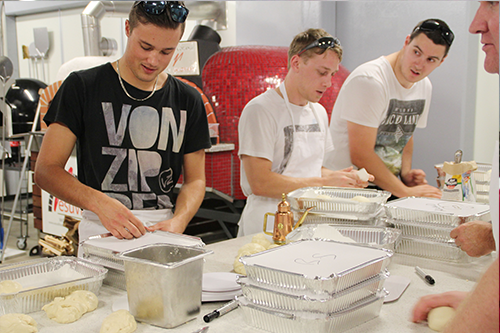 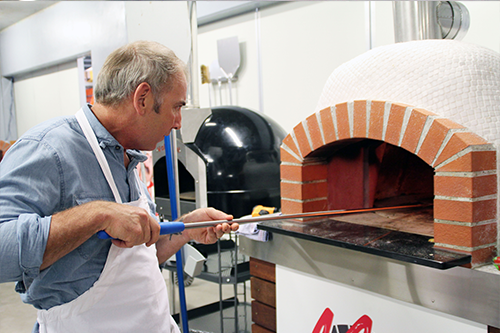 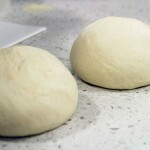 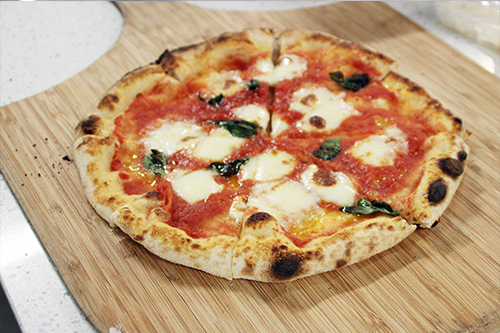 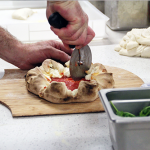 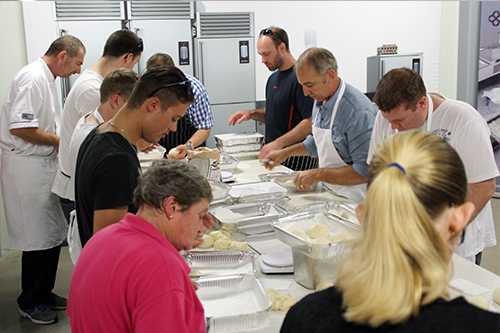 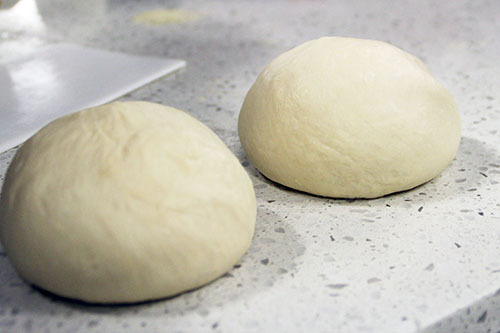 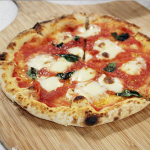 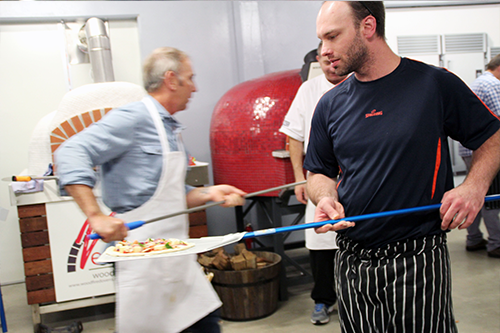 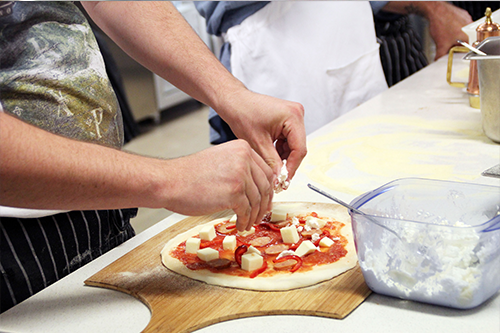 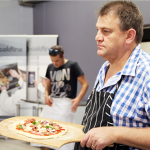 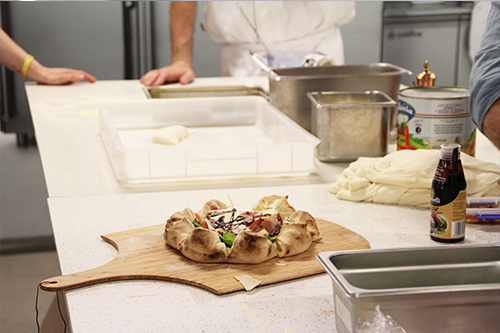 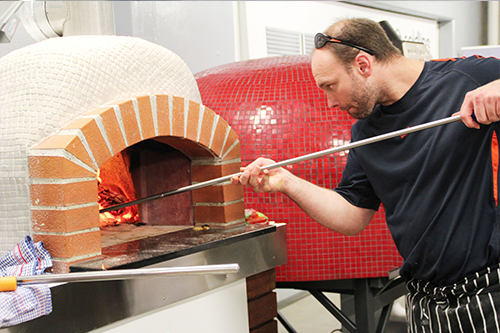 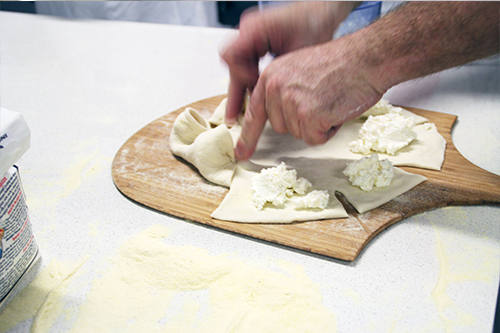 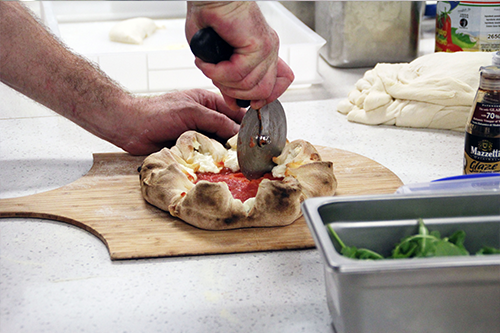 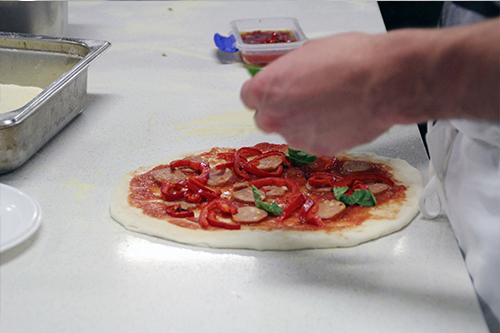 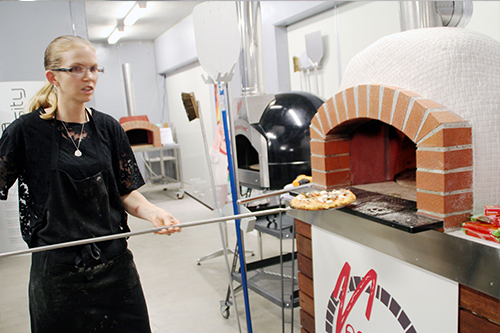 Corporate cooking classes can be customized for your group and you can choose from meat and seafood or pizza classes. 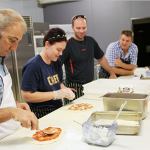 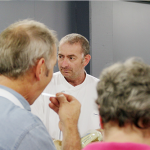 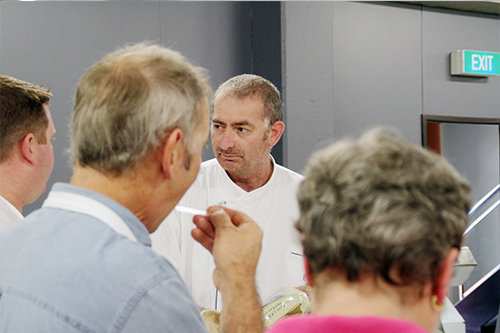 Resident chef Joe Cassisi has international accreditation and clearly explains the processes in expert detail.